Today we’re thrilled to announce a major update to the LivePlan Dashboard! If you haven’t used the Dashboard yet, you should check it out. It gives you all the numbers you need, right at your fingertips, to keep your business growing and financially healthy. 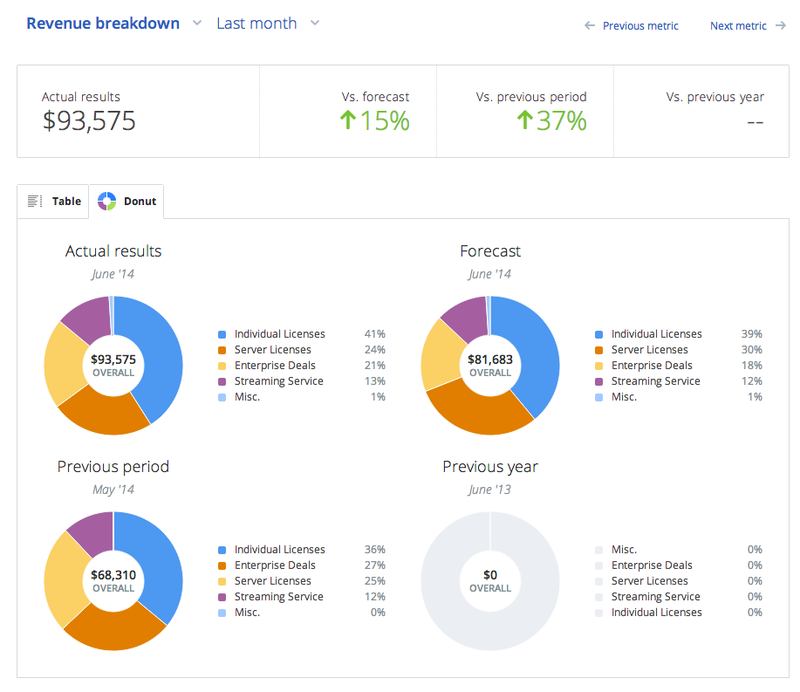 You’ll get an at-a-glance update on your key business numbers so you can see exactly how your business is doing compared to your plans, or to last month or last year. In fact, the Dashboard can allow to compare any two time periods you want, anywhere you have access to a computer and the internet. 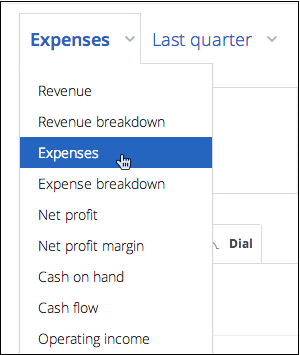 The Dashboard is a great financial dashboard for your business, and a management tool that lets you set financial goals, and then track and manage your actual results against your goals. You can understand how your business is doing compared to your plans, and see where you may need to make adjustments, or spend a little more time, depending on where you are achieving—or missing—your financial goals. Finding key insights into your business can be a real challenge when you’re drilling through endless spreadsheets or dry reports from your accounting system. 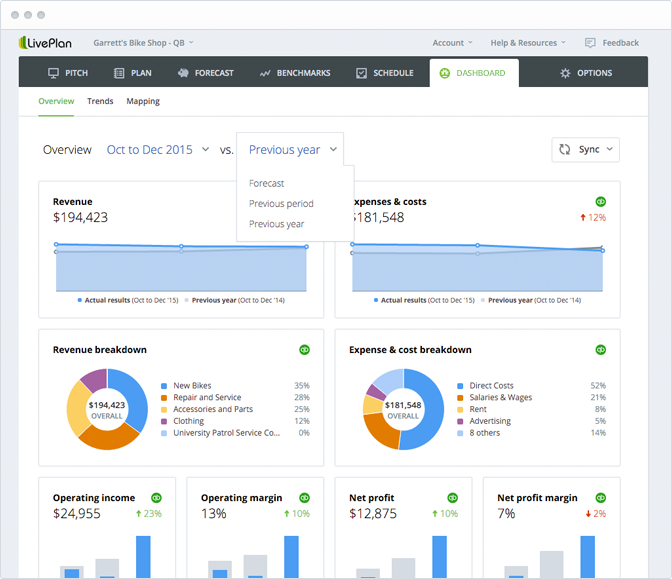 The all-new LivePlan Dashboard brings your most important business numbers front and center with a simple, visual presentation that your accounting system can’t match. Let your bookkeeper use your accounting system, and you can use LivePlan to get exactly the right information anytime, anywhere. You can also easily keep track of key metrics such as cash flow, net profit, profit margins, and more—all in a gorgeous visual format, which actually makes it fun to review your business numbers. The Dashboard’s new look makes finding your key numbers easier, provides new visualizations of your business data, and lays the groundwork for more exciting features that are coming soon. The new Dashboard now tracks eighteen key numbers that are critical to understanding your business health. You can easily drill into any of these metrics to see the numbers in detail and even choose how you would like the data displayed. Most detailed views in Dashboard will also give you the option of switching to view data in a different type of chart. 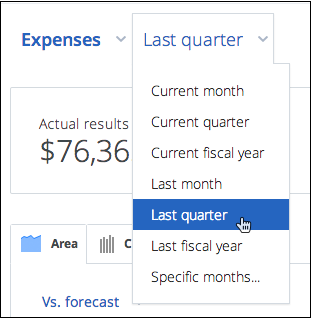 If you want to view a different period of data—say, last quarter’s data—you can use the simple drop-down menu, available on every page. Say goodbye to merging reports from your accounting system, or fussing with complex Excel files. The LivePlan Dashboard will automatically compare your selected date range to the same period last year, the previous period, and your goals for that period—all in one simple screen. At Palo Alto Software, we use the LivePlan Dashboard to manage our own business. It’s one of the key factors that has contributed to our success, and today we can’t imagine running our business without it. By setting goals and tracking our progress towards those goals, we’re able to manage better, adjust course as necessary, and share our key business numbers with our board and advisors. We hope you enjoy the new Dashboard as much as we do. It’s been a key component of our growth and we hope the same is true for you! If you have questions or comments, we’d love to hear them. Let us know in the comments or give us a call on 1-888-498-6136 (or +1 541 683 6162).